French engineering consultancy Altran said it could make another acquisition in 2013 as it unveiled the purchase of German car engineering specialist IndustrieHansa. 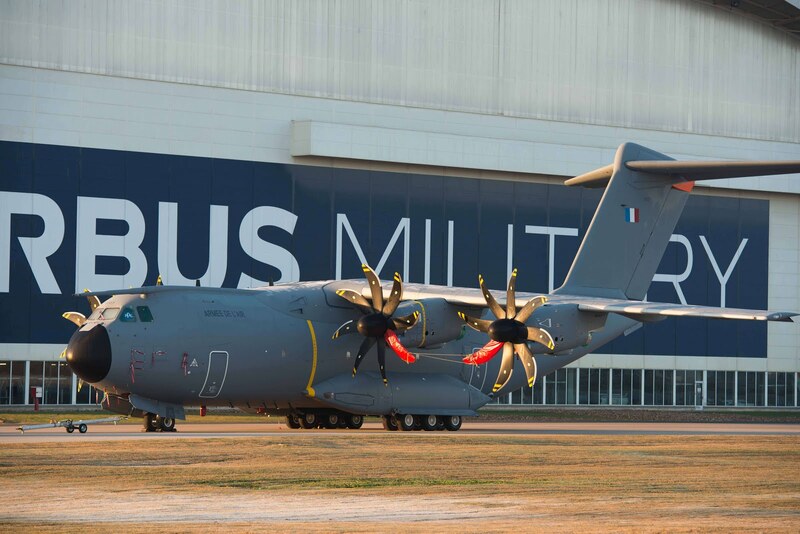 The first production A400M 21st century airlifter can be seen for the first time in the colours of an Air Force in this latest picture of the aircraft in the Airbus Military final assembly line (FAL) at Seville, Spain. 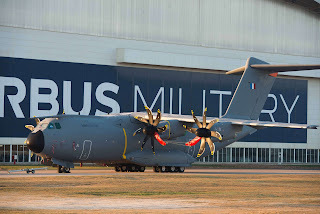 The photograph shows MSN7 in the colours of the French Air Force, thus passing another milestone in the A400M programme towards first delivery, scheduled for the second quarter of this year. Incorporating new engines and large "Sharklet" wing tip devices, the A320neo Family will deliver fuel savings of 15 percent. The reduction in fuel burn is equivalent to 1.4 million litres of fuel - the consumption of 1,000 mid size cars, saving 3,600 tonnes of C02 per aircraft per year. In addition, the A320neo Family will provide a double-digit reduction in NOx emissions and reduced engine noise. With close to 8,900 aircraft ordered and over 5,300 aircraft delivered to over 380 customers and operators worldwide, the A320 Family is the world's best-selling single-aisle aircraft family. Commander D. Miguel Ángel Roqué de Santiago became the first Spanish Air Force pilot to fly 1,000 hours in the Eurofighter aircraft during an air defence training sortie over the Alboran Sea. Commander Roqué, a native of Calahorra (La Rioja), arrived in the 11th Wing on the Morón Air Base (Seville) in January 2006 and has served in both the 111 and 113 Squadrons for more than four years as a flight instructor for the conversion of pilots to the Eurofighter. BOC Aviation, the Singapore-based aircraft leasing subsidiary of Bank of China, has placed a new firm order, signed in December 2012, for the purchase of 50 A320 Family aircraft including 25 NEOs. The order comprises A320 and A321 variants of both engine options. BOC Aviation will make its engine selection for the aircraft at a later date. “The announcement from BOC Aviation is another vote of confidence in the long-term appeal of our popular A320 Family. It works well for the financial community thanks to its wide operator base, its proven excellent operating economics as well as strong residual values," said John Leahy, Chief Operating Officer Customers, Airbus. “With this latest order for A320 Family aircraft, BOC Aviation is well placed to continue to build on its position as a top tier leasing company." Including this latest purchase agreement, BOC Aviation’s cumulative orders for new Airbus aircraft reach a total of 187 (181 A320 Family and six A330 Family aircraft), of which 131 have already been placed with airlines. BOC Aviation has also been growing its Airbus fleet through purchase and leaseback transactions with airlines. To date, BOC Aviation has successfully placed Airbus aircraft with over 40 airlines worldwide. BOC Aviation is the largest Asia-based aircraft leasing company and will be celebrating its 20th anniversary this year. The A320neo will enter into service from late 2015, followed by the A319neo and A321neo in 2016. The A320neo Family incorporates latest generation engines and large Sharklet wing-tip devices, which together will deliver up to 15 percent in fuel savings which is equivalent to 1.4 million litres of fuel - the consumption of 1,000 mid size cars, saving 3,600 tons of C02 per aircraft per year. With more than 1,600 firm orders since its launch in December 2010, the A320neo Family is the fastest selling commercial aircraft programme ever. The A320 Family is the world’s best-selling and most modern single aisle aircraft Family. To date, close to 8,900 aircraft have been ordered and over 5,300 delivered to more than 380 customers and operators worldwide. Arguing it is costly and complex to send large numbers of warships to forward operating areas - and that the energy and logistics needed to deploy lower-cost unmanned systems over oceanic distances limits their usefulness - DARPA has come with another idea. That idea is to pre-deploy "deep-ocean nodes" in forward areas years in advance. These would be commanded from a safe stand-off distance to launch to the surface and release waterborne or airborne unmanned systems to disperse and provide ISR or "non-lethal effects" over a wide area in contested environments. Cost per flying hour (CPFH): The Next Big F-35 Debate? Last year, one of the big JSF debates was over the “true” cost of sustaining the single-engine, stealthy F-35. Navy officials arrived at a $1 trillion figure to operate the aircraft for 50 years. To say it caused sticker shock in the Pentagon would be a massive understatement, and officials in militaries abroad eyeing F-35 purchases have spent countless hours since trying to get a better grip on the cost to operate this jet. Though there has been no definitive figure released to that point, the debate about F-35 sustainment has taken a new turn. 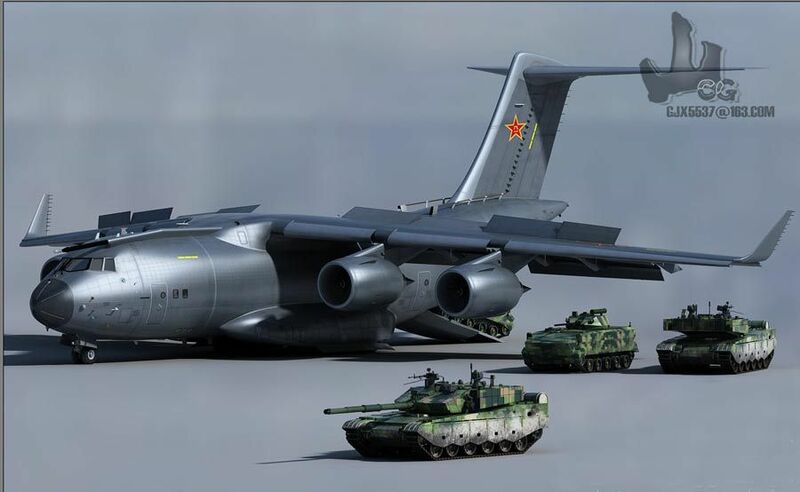 It seems now that the focus is all about the cost per flying hour (CPFH) of the aircraft. First Winglet Set For Bombardier CSeries Aircraft Delivered: Composite Wingtip Devices Designed To Extend Range And Cut Operating Costs The first production aircraft set of winglets has been delivered to Bombardier Aerospace, Belfast for the new Bombardier CSeries aircraft that will serve the 100– to 149-seat market segment. Madrid.- El sindicato de pilotos Sepla con representación en Iberia ofreció ayer a la compañía una reducción del 10% de la plantilla y un recorte salarial de todos los con una congelación de sueldos hasta el 2015. Los pilotos ofrecen reducir en un 10% la plantilla clon salidas voluntarias mientras exista la filial Iberia Express, una reducción salarial del 10% para todo el colectivo -unos 1.400 pilotos- y la congelación salarial hasta el año 2015, además reducir en un 50% el salario a los nuevos pilotos que se incorporen, tal como informó ayer el Sepla.